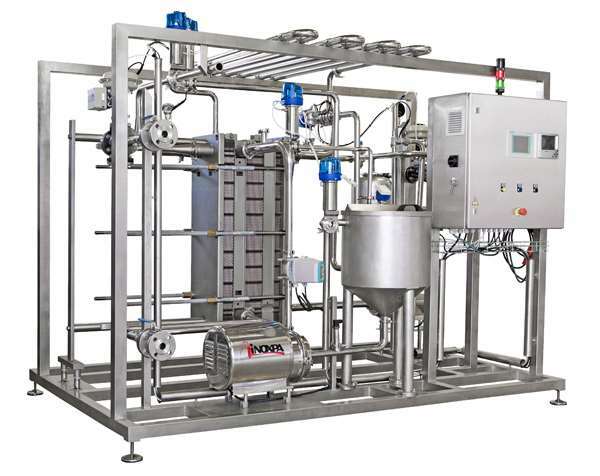 Three automated pasteurisers - type HTST (High Temperature Short Time) - have been designed for heat treatment of liquid candy to prepare it for its later freezing (Lolly Pop or Flash). 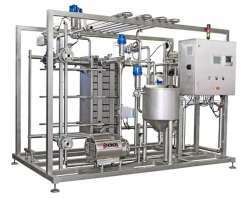 The stages of the pasteurisation systems are regeneration, heating, holding and cooling of the product for storage. 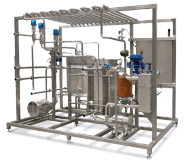 The skids are provided with flow meters for flow adjustment, continuous level sensor in the balance tank (BTD) and control valves for heating and cooling processes. The skids are equipped with a PLC, 10" touch screen and 3 channel video recorder.